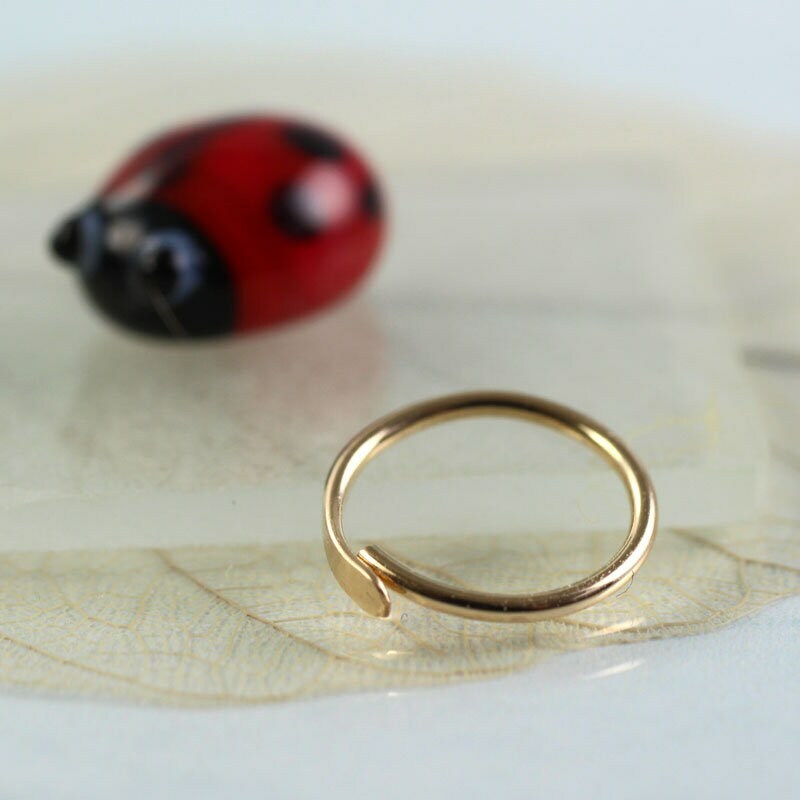 Tiny golden sleeper hoop with a hammered overlap closure. The overlap means there's no catch. 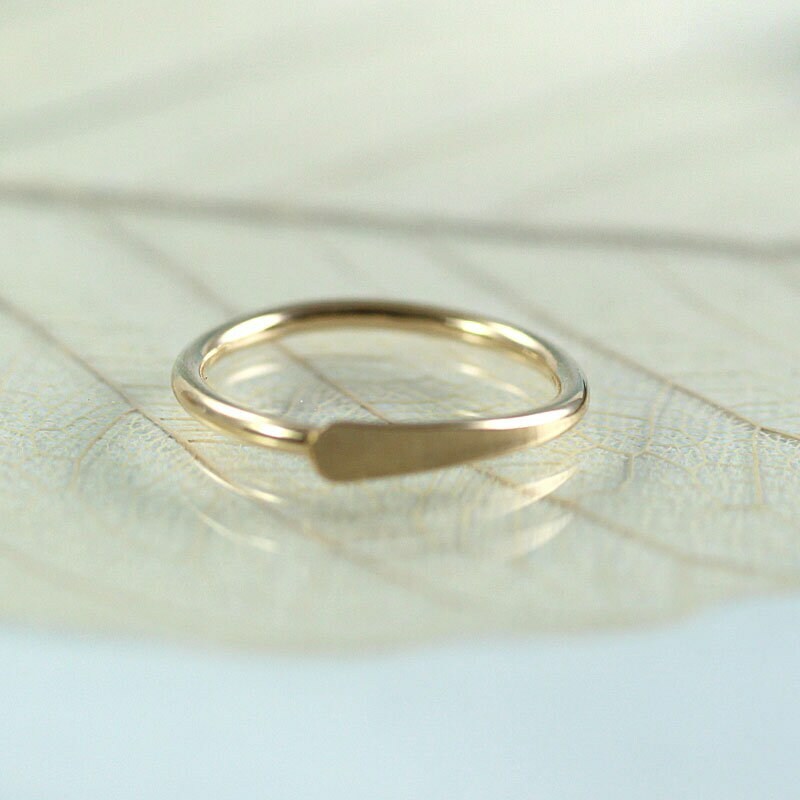 Elegant and classic sleeper hoop. Perfect for everyday wear. 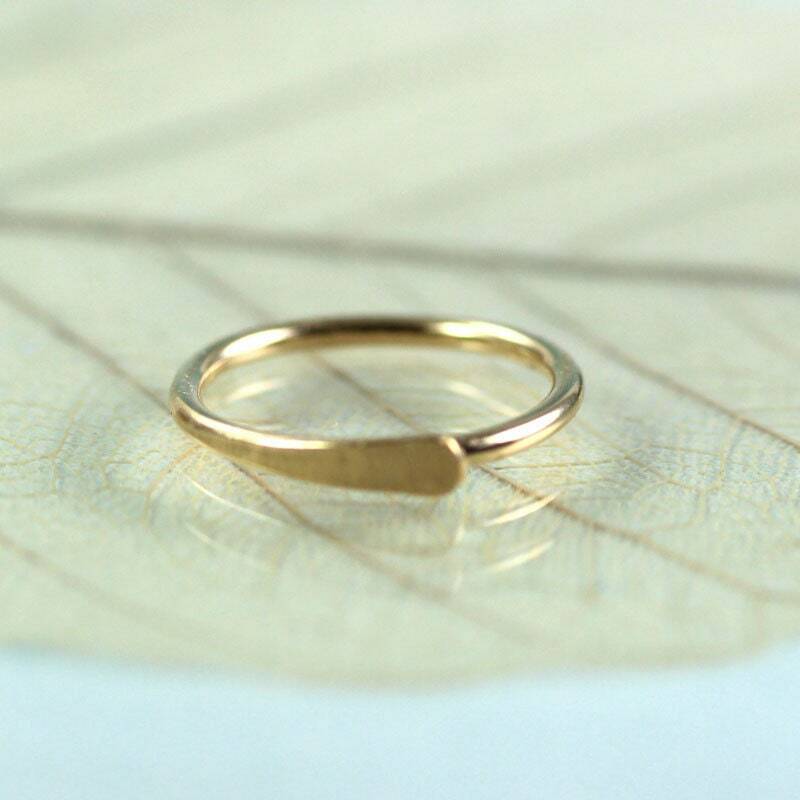 This listing is for a single earring. I list these singly as they are perfect for helix piercings. 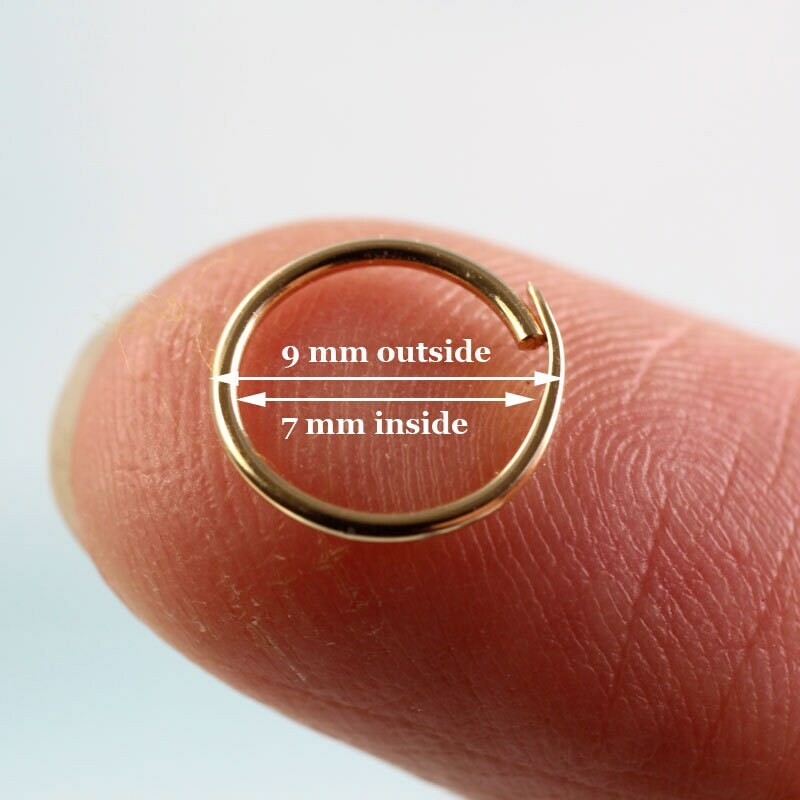 But do check if it might be too tiny for your piercing - 7 mm inside diameter is quite small! 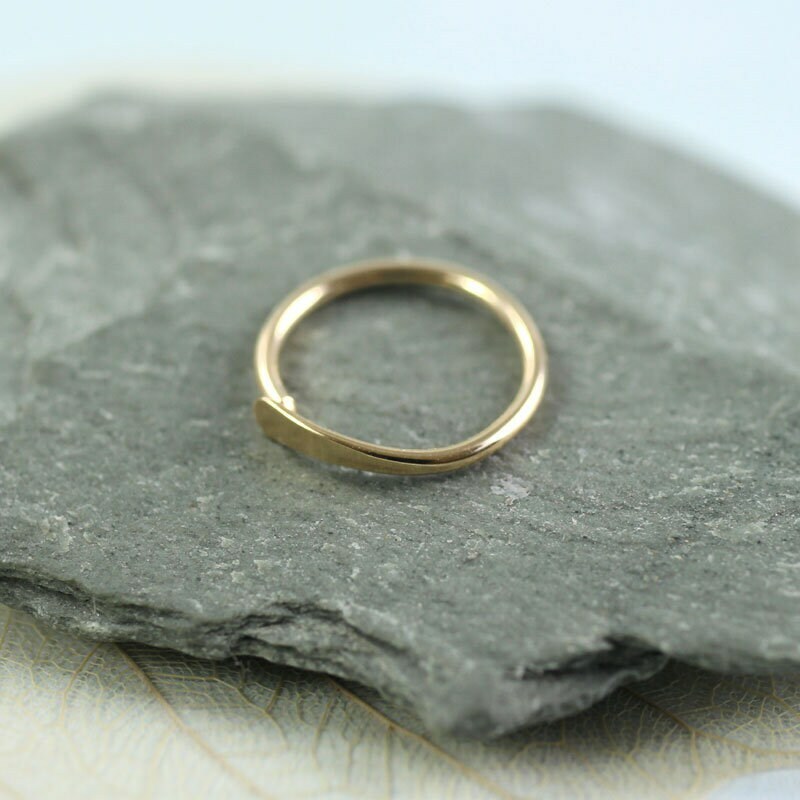 The hoop is a classic and elegant design one end hammered to a paddle that overlaps the rounded end you thread in the ear. 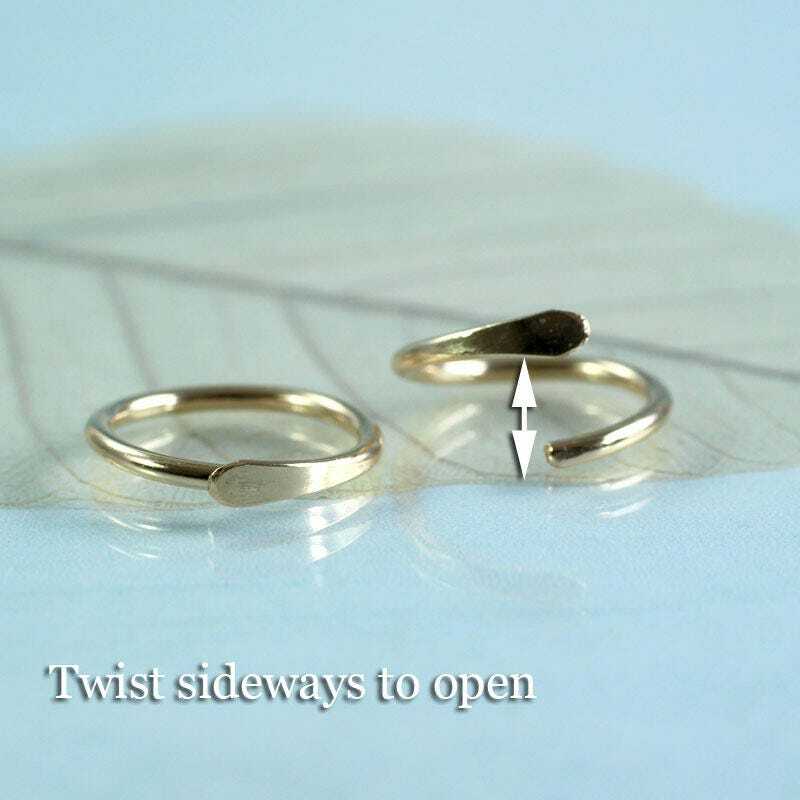 The hoop has no fastening, just twist sideways to open and close. No hooks or scrolls to catch in clothing, yet they sit very securely. 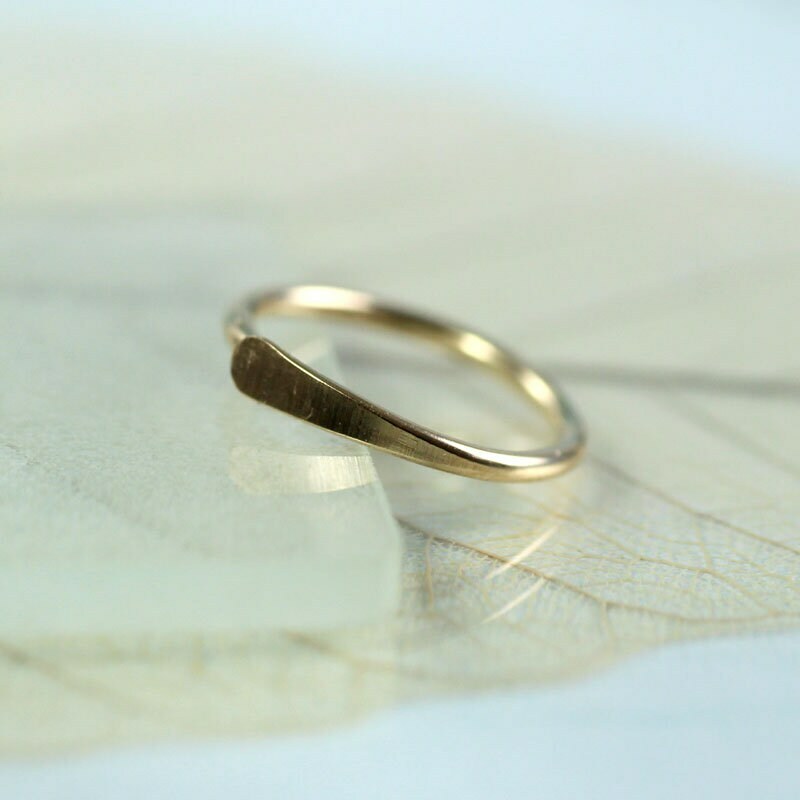 I made it with Gold filled wire, that's gold bonded to a brass core, the gold is much thicker than plate and won't wear off. The 14 karat gold is a glorious sunny colour. 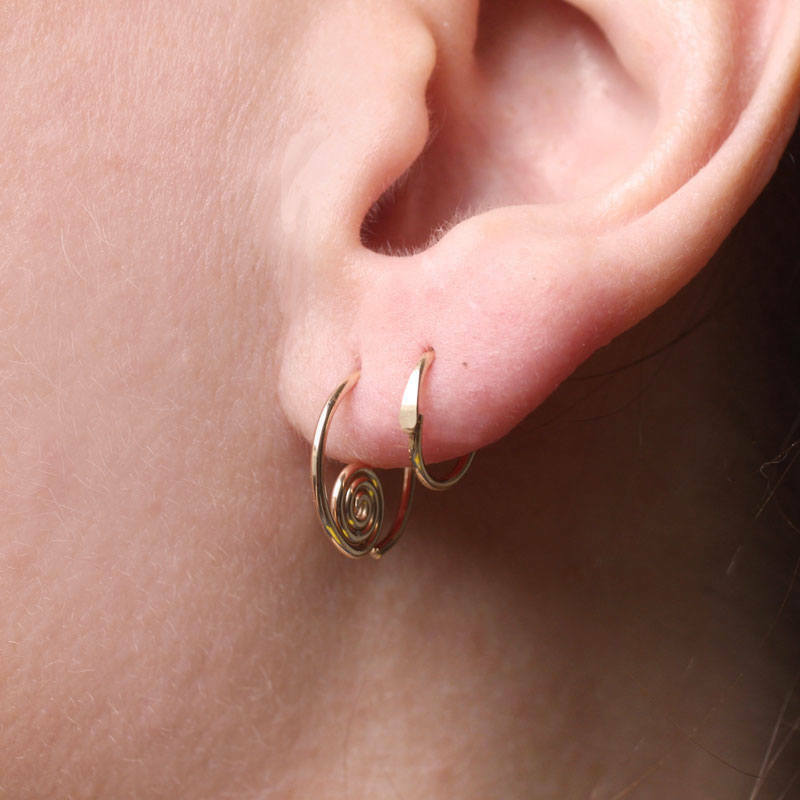 Will also work perfectly for a helix piercing. Twist sideways to open. That way you keep the perfect circle intact. 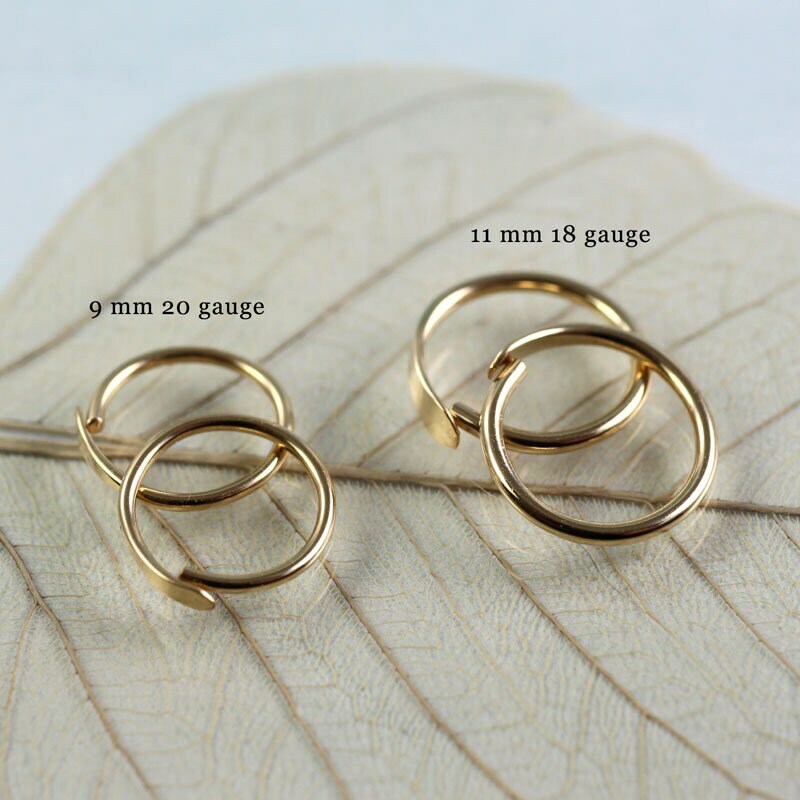 These very small hoops can be tricky to get in, but they are really secure once on. We call them sleepers as they are perfectly comfortable to keep in overnight. Arrived on time, lovely and careful packaging, and beautiful earrings. About to order my second pair - would definitely recommend. Very small but very sweet. Ordered a single 9mm hoop for my helix and a pair of 11mm hoops for my lobes which arrived promptly. 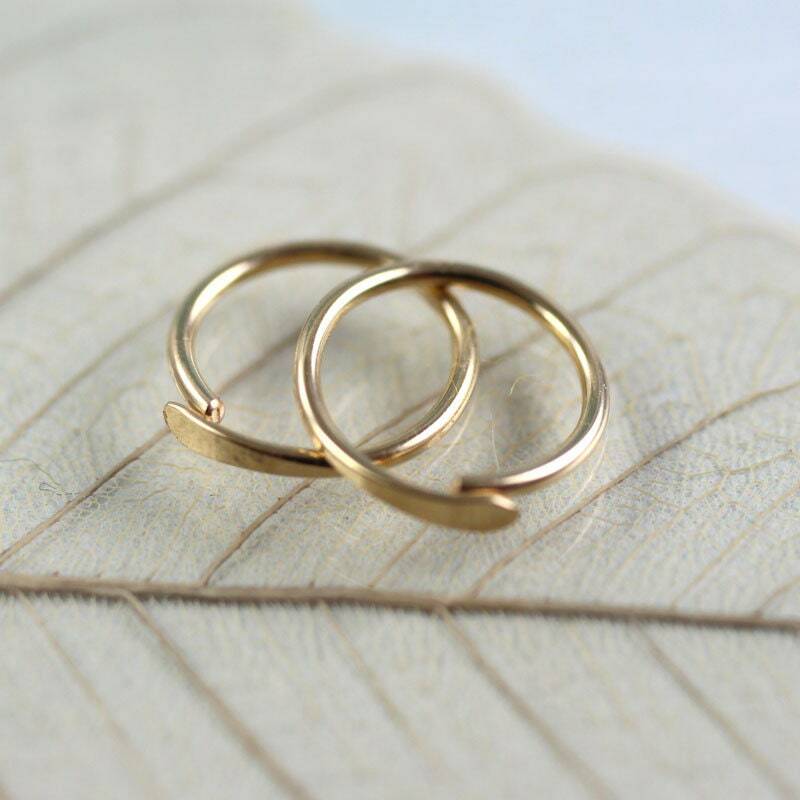 Love the look of these simple gold earrings. Just a heads up, it's true that it's a bit tricky getting these earrings in as they must be twisted to open and threaded into your ears. Extremely happy with my purchase and would order from this store again.